A lot of potential clients that we meet with are reluctant to hire an attorney to represent them in their claim because they do not have money to pay their bills, let alone an attorney. For this reason, most Arizona work comp attorneys are paid by what is called a “contingency fee”. Simply put, the attorney’s fee is “contingent” upon his securing a certain type of compensation. If that compensation is not secured, then no fee is paid. 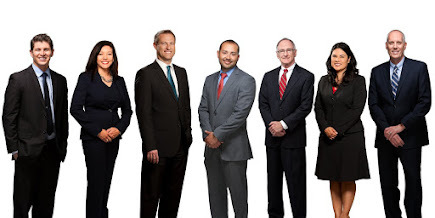 At Snow, Carpio, and Weekley, almost all of our cases are taken on a “contingency” basis. A percentage of certain compensation is charged as a fee, with no requirement to pay an up-front retainer. On cases that are already accepted, where we will be doing informal advocacy such as changing doctors, assuring the correct payment of compensation, or other administrative tasks, we usually charge a very reduced percentage of any temporary compensation that the injured worker receives, typically 5-10%. In cases that require the attorney to go to court and litigate, the fee may be 20-25% of the temporary compensation. In cases that results in permanent compensation or settlement, our fee is usually 20-25% depending on the length of the representation and the amount of legal work performed. Our firm was built on the realization that our clients’ compensation is sacred to them and needed to help them survive a very difficult time in their lives. We try and be extremely fair in setting fees for the quality work we do. I’m often surprised at how many of my friends, even those with advanced educations, have very little idea what goes on in our local political scene and its effect on their lives. I’ve written in past blog posts about the current makeup of the industrial commission and how that has negatively affected the rights of injured workers in Arizona. It is important to know that the commissioners are appointed by the governor, who is currently Doug Ducey. Mr. Ducey has prided himself as a champion of business. However, at least as it involves the workers compensation field, this has come at the expense of injured workers. The commission has supported a host of initiatives in the last two years that all chip away at the rights one has when injured on the job. these include the limiting of the treating physician’s right to determine appropriate medical care, the reduction of fees that doctors are paid to treat injured workers (thus reducing the number of doctors that will treat work injuries), and the allowance of insurance carriers to fully and finally settle workers compensation cases (more on that in a separate post). All of these moves, and several others, have been pushed through by a republican controlled legislature that often does not have the interests of working class Arizonans on their minds. No matter what your politics otherwise, if you are a worker in the state of Arizona, or have already suffered an on the job injury, pay attention to who you vote for local offices and their positions on matters affecting workers. On November 1st, 2017, Senate Bill 1332 went into effect in Arizona. This state law allows for the full and final settlement of workers’ compensation claims. Under the current system, claimants always retain the right file a Petition to Reopen their claim in the event that additional active medical treatment is required for a new, additional or previously undiscovered condition causally related to their industrial injury. In cases which settled, carriers ( and third party administrators) retained a credit in the amount of the settlement that applied to future indemnity and/or medical benefits. With SB 1322, claimants and carriers now have the option of entering into a full and final settlement of the claim. This type of settlement, if approved , will bar forever the claimant’s right to reopen or rearrange his claim. It’s a one-time deal, so getting it right is critical. There are two elements of value in any given workers’ compensation case; Medical benefits and indemnity ( the money that the carrier pays the claimant). If you want to understand valuation of a claim, you need to understand how these elements are valued. Future indemnity benefits are based on two constants; The claimant’s age and the monthly entitlement. The variables are how the value of future benefits, or reserves, are calculated. Different methods produce strikingly different values. An annuitized value is based on the amount of money that a carrier would pay to fund an annuity to pay the monthly award based on prevailing daily rates of return. In Arizona, traditionally, the total present value is calculated by using a present value table and plugging in the age and monthly amount. The latter technique generates substantially lesser values than the former. There is no right answer at this point. Valuation is subject to radical differences of opinion depending on whose interests are being pursued. Future medical benefits should be assessed based on projected future value, including elements like medical inflation. Carriers can value these benefits, but the values may be grossly underestimated. A good rule of thumb is to make sure that the claimant either gets his own valuation and/ or insists that Medicare approve the valuation. Medicare will perform its’ own valuation when its’ interests are involved through a process called Workers’ Compensation Medicare Set Aside ( WCMSA). If there is a proposed full and final settlement, then we strongly urge all claimants to treat Medicare’s interests with great care. There are thresholds that are very liberally construed by the Center for Medicare Studies ( CMS). CMS recommends that all proposed settlements be approved if they meet these thresholds. The undersigned has seen unapproved agreements submitted by companies which call their products “ certified.” These certifications appear to be internal, and not from Medicare, so beware. Moreover, MSA funds should be professionally administered with full reporting and compliance. One benefits to resolving future medical under an approved and properly managed MSA is that any funds remaining at death pass to the claimant’s beneficiary. Beware of reversionary language in the agreement that would give all or part of the remaining funds back to the carrier. Full and final settlements are a new frontier for injured workers and their attorneys. They require preparation and knowledge because, once approved, the claimants’ case is over. It cannot be renegotiated. The claimant and his attorney must understand and protect the rights of Medicare in order for the system to work correctly and to protect the claimant’s future medical care, both injury and non- injury related. Beware of undervaluation an negotiate from a position of knowledge. At Snow, Carpio & Weekley, PLC, our top-rated Arizona workers’ compensation lawyers want to ensure that all injured workers have the knowledge they need to protect their legal rights and financial interests when it comes to worker’s compensation settlements. Insurance companies may try to use the option of full and final settlement to their own benefit, but you should know the benefits and risks involved in agreeing to such a decision before you sign a full and final settlement with your work’s insurance company. A full and final settlement, while it is generally a larger sum of money in comparison to other worker’s compensation settlements, is often more beneficial for the insurance company providing it. This protects them from further liability regarding your injuries, as you will lose the ability to reopen your claim in order to seek paid medical care in the future. As a general rule, injured workers should not reach this type of settlement until their condition has stabilized and they have reached maximum medical improvement. While Arizona’s full and final settlement law requires that any agreement must outline and explain all likely future medical costs and treatment, there are serious concerns that insurance companies will be able to take advantage of injured workers who are not represented by a professional. Reaching a full and final settlement can make sense in some cases, but workers need to know that there has been a full and accurate valuation of possible future medical costs. Arizona’s full and final settlement statute is still relatively new, but this is evidence that big insurance companies are trying to avoid making continual payments to injured workers over time, regardless the extent of the injury. Insurers are attempting to settle workers’ compensation claims for the exact same value as these cases would have reached under the old law while also slipping a full and final settlement provision into the agreement. This stipulation in the law could cripple a worker’s potential right to healthcare paid for by the responsible company’s insurance, and taking a full and final settlement without considering the risks to their future healthcare could harm their chances of care if the injuries exacerbate in any way in the future. If a claimant needs to leave the state of Arizona for longer than two weeks while they are receiving benefits, or while their claim is in litigation, it is very important that they request permission from the Industrial Commission prior to their departure. If the claimant is represented, their attorney will request the permission on their behalf. If the worker leaves the state without permission, the insurance carrier can suspend all of their benefits, including their temporary benefits, if a physician has them off of work or on modified duty. The Commission usually will grant a claimant’s request to leave the state, absent unusual circumstances. As a practical matter, it may not be a good idea for a claimant to leave Arizona while their claim is open. If the claimant is getting medical treatment under their claim, they will be responsible for finding a physician in the new state to take over care. This can be difficult because the doctor assuming care may not be knowledgeable about the Arizona workers’ compensation scheme. Additionally, the doctor assuming treatment would be paid for their services based upon the Arizona Fee Schedule, rather than the rates in their state. Finally, the claimant may need their doctor to testify if the claim goes into litigation. It can be very difficult to work with an out of state doctor when it comes to testifying, because they are not familiar with the laws and procedures in Arizona, and the Industrial Commission's subpoena powers are very limited. Even if a claimant gets permission to move out of state and finds a doctor to take over their treatment, they may still be required to return to Arizona periodically for hearings or independent medical evaluations. If the claim goes into litigation, the claimant will need to present to testify at the initial hearing, unless the Judge grants permission for them to testify telephonically. The insurance carrier is entitled to have the claimant evaluated in an independent medical evaluation from “time to time” so travel would be required for those appointments as well (although the Carrier would have to reimburse the claimant for their travel expenses). An injured worker should always consult with their attorney before leaving the state of Arizona for longer than two weeks, to evaluate how that would affect their case. One of the most important duties of the workers’ compensation claimant’s lawyer is preparing the claimant’s doctor to testify before the ALJ at the Industrial Commission. Most cases litigated before the Commission require expert medical testimony to meet the claimant’s burden of proof that an injury occurred, that special statutory causation requirements are met or that further treatment is necessary. Dealing with the many and various physicians who might be involved in workers’ compensation cases requires some considerable people skills in addition to familiarity with the statute and case law. In workers’ compensation litigation, cases are rarely litigated to a conclusion in one hearing. Because of concerns related to the budget (the Commission pays the doctor to testify) lay witness and claimant testimony is always scheduled first and then medical testimony in follow-up hearings with the claimant’s doctor going first. It is absolutely critical that the claimant’s doctor be carefully prepared to testify if the case is to be successful. Defense attorneys on workers’ compensation cases do not have such concerns with their medical witnesses, practically all of whom were hand-picked by the carrier to do “independent” medical exams and to defend their opinions in court. They are generally always well-paid and well-prepared to do so. It is far different and far more difficult for claimant lawyers who most often litigate the case with the doctor who came with the claimant. There is no substitute for a personal meeting with the claimants’ doctor once his or her testimony is scheduled but not too far in advance that the doctor doesn’t remember what you discussed with him or or her. It is essential to make sure that the physician has all of the records in evidence, including the IME report. No doctor wants to be surprised and embarrassed on cross-exam because of records they didn’t have. If there are special statutory requirements as with heart, mental or hernia cases, go over the statute with the doctor and give them a copy of the statutory language. Explain how their testimony will help meet your burden of proof. Reassure them that the workers’ comp law does not require proof that an anatomic change occurred if a pre-existing condition is aggravated by work activity, medical treatment is required and disability from work results. Tell them the weaknesses of your case. Explain the hearing process so that they feel comfortable testifying. The cost of such expert witness preparation varies from doctor to doctor but is well worth it. It is almost always well-appreciated by the doctor.